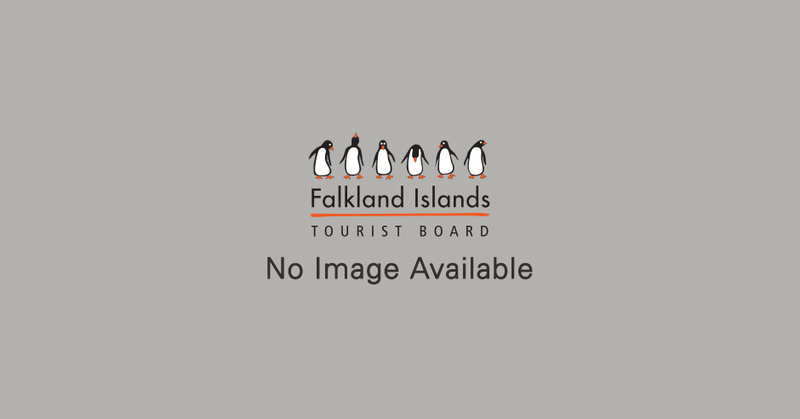 The Falklands archipelago is teeming with wonders of nature and wildlife; an unpolluted environment with fantastically clear blue skies, seamless horizons, vast open spaces and stunning white sand beaches. The Islands are a natural paradise with tiny settlements nestling in many miles of open spaces, fascinating rivers of rock, seas of brilliant aqua greens and silvery blues. Wildlife is free to roam; many species have chosen the Islands as their home. 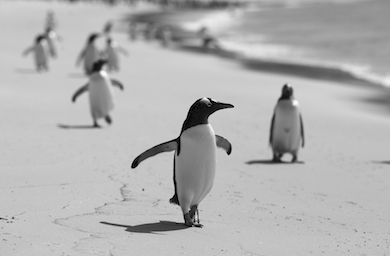 Discover the special feeling when a penguin comes close, stops, takes a good look and then continues on its way. Watch nature in the raw as a whale takes a penguin as prey or marvel at the delicate beauty of endemic flowers. Whilst the wildlife is the major attraction for most visitors, there is also a fascinating history to uncover. Stanley, the Falklands’ capital, is home to the Historic Dockyard Museum, Christ Church Cathedral and an iconic Whalebone Arch. Learn more about our heritage with visits to smaller settlements. Take a tour with a local guide who will be pleased to share stories of times past and present whilst showing you the best of the sights to suit your interest, wildlife, battlefields, beaches ….. as you choose. Travel around the Islands is an adventure in itself, whether by land, sea or air. 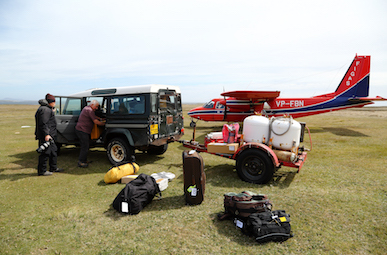 4x4 off-roading, boat journeys to tiny islands and flights in the Islander aircraft are all experiences to be savoured. There are activities to tempt you both outdoors and indoors. Hiking and fishing are popular pastimes. The cool, pristine waters may tempt you in for a paddle or a greater adventure! Try your hand at a local craft or browse Stanley’s shops for that special souvenir. Help out on farms or just watch life go by. Whatever you enjoy, the Islands offer the chance to escape from the everyday stresses and strains of life, simply relax and unwind. Adjacent to the cathedral is the Whalebone Arch, constructed in 1933 from the jawbones of two blue whales to commemorate the centenary of continuous British administration in the Falklands.